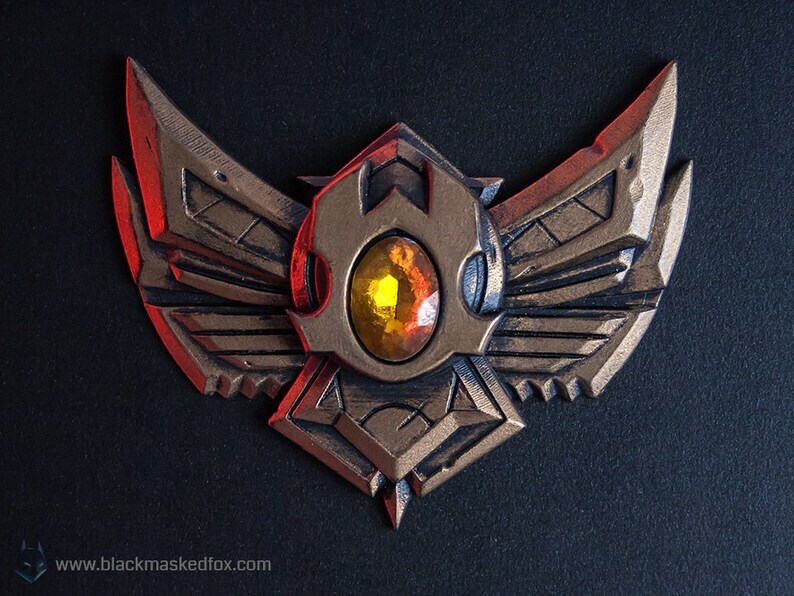 Hand painted casting of the bronze badge! The design is based on the League of Legends ranked badges. This is the bigger version of the badge which includes a yellow acrylic gemstone. The badges are hand painted. The dimensions are approx. 6,5 x 5,2 x 0,8cm which is about 2.6 x 2 x 0.3"
Every single badge is a uniquely and individually hand made object. There can be some small variations due to the crafting process. Paint can wear off if exposed to friction.